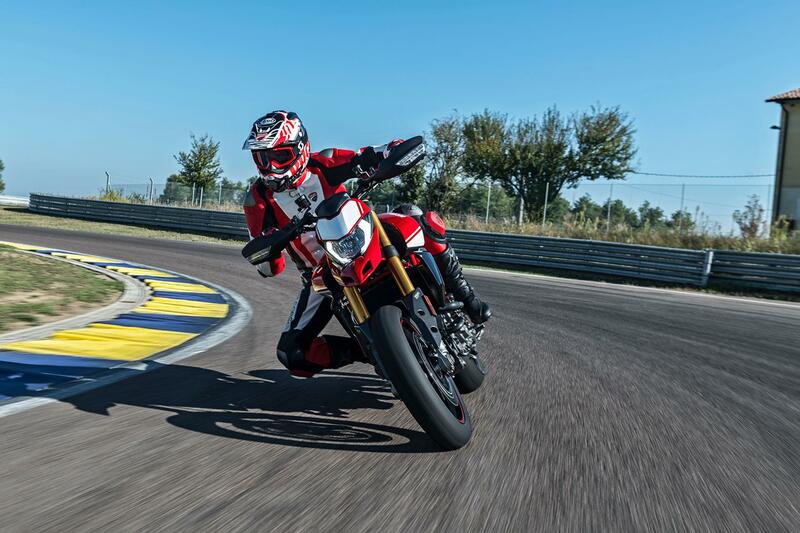 More power, less weight and a host of attentive (yet subtle) updates could be the keys to success for the new Hypermotard 950, and enough to transform the fun-but-niche street hooligan into something with more mass appeal. For many, the Hypermotard 950 was an intriguing, standout bike when unveiled at the tail end of 2018 in Milan. Its new underseat exhausts and 916-inspired pipe routing look so right on a Ducati, and help transform the Hyper from looking a little like a parts-bin special to simply looking rather special. The bike has proven to be popular with our European neighbours, but not so much here in the UK. 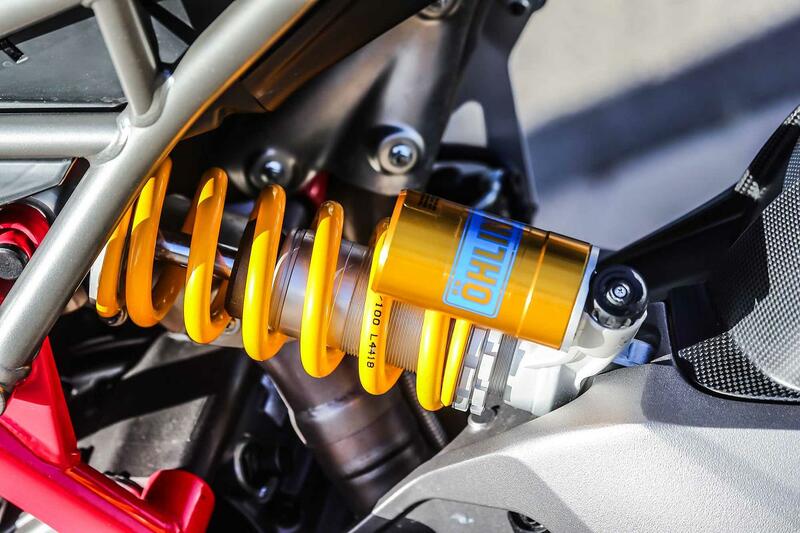 In an attempt to flip that trend, Ducati have tried to boost its edgy supermotard DNA, while simultaneously enhancing its everyday usability. For a bike that packs such fun and frolics, it’s surprising to hear the Hypermotard’s meagre sales figures here in the UK. Then again, its super-niche stance isn’t exactly compatible with Great British environments where making the most of its nuttiness is impossible – but that shouldn't discourage you from this very involving, fun-packed bike. Ducati staff reckon the Hypermotard 950 is one of the best bikes to leave the Bologna factory, and I concur. There’s nothing nice about this bike and I mean that in the nicest possible way; it’s a rampant, relentless beast with the throttle pinned, yet very useable at more serene speeds where smiles for miles can still be delivered. I’m struggling to conjure up any negatives. Perhaps the only gadget missing from the 950 is a fuel gauge. Granted, it's not a massive upgrade in terms of performance or technology, but the subtle tweaks make the Hypermotard 950 a much-improved overall package and it has enough in its armoury to appease pretty much every rider on the planet – if you can live with the aesthetics. There’s no hiding from the fact that the Hypermotard is a very tall bike and this has previously been a strong deterrent for the vertically challenged. While the seat height remains at a lofty 870mm, the seat width has been trimmed by a significant 52mm (partly thanks to a new trellis subframe), which gives a much narrower standover – and for the first time in a while, I was able to place both feet firmly on the floor (I’m 5ft11in, 6ft in my boots). Numbers aside, the seat is also flatter and comfier than the old 939’s, which makes everyday chores and moving around the bike far easier. Major emphasis was put on the new 950’s weight loss, shedding a little over 4kg compared to the hardly-lardy 939. It’s been achieved via a host of nips and nucks, including the trellis frame tubing thickness being reduced from 3mm to 2.5mm, which alone shaves off 1kg, while new magnesium engine cases lose another 1.5kg. I’m not going to pretend that a 4kg weight loss is particularly noticeable, because it isn’t – but there’s no doubt the 950 corners better at committed speeds and feels less awkward mid-corner. The chassis geometry is identical to the 939’s, so we can only assume the culmination of a diet, softer suspension (with new aluminium fork tubes) and improved ergonomics are collectively responsible. 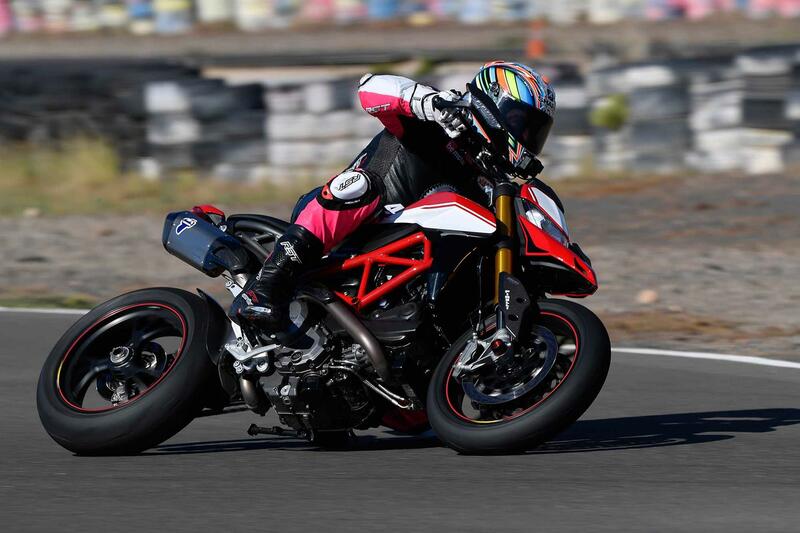 The Hypermotard still requires an idiosyncratic riding style and prefers standard supermotard techniques; braking hard, scrubbing off speed at the apex, and firing out using its insane grunt on tap. Some bemoaned the lack of brake feel but that’s just a by-product of soft suspension and more-than-decent stopping power overloading the front-end. That said, the 950 lapped up some rear brake to help the bike turn, especially attacking downhill corners. 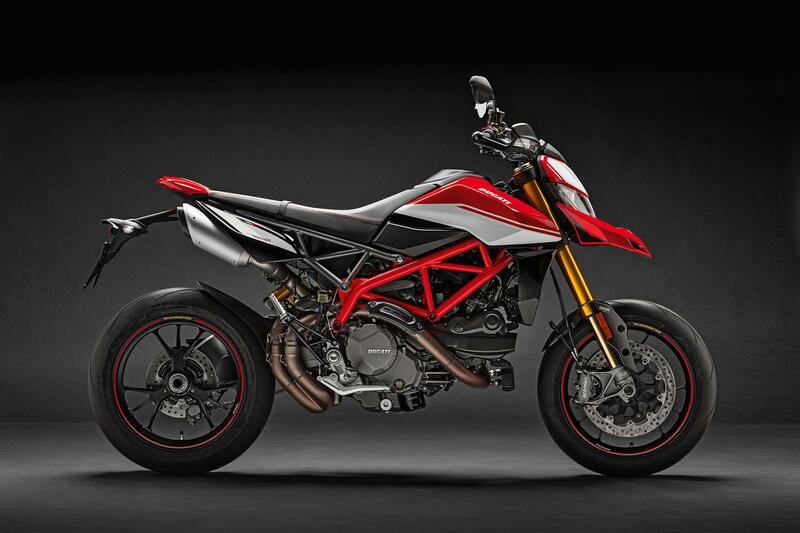 In an archetypal Ducati move, the Hypermotard gets fresh digits in its title (950 rather than 939) but the engine capacity remains the same at 937cc. Headline figures emphasise a 4bhp increase over the 939 thanks to new pistons, a higher compression ratio, new cam profiling and larger 53mm throttle bodies – but it’s the way in which it makes its power that’s so arousing. Ducati claim the 950 delivers 82% of its torque at 3000rpm, so no wonder the revised Testastretta feels so lively at the bottom-end and tangibly more responsive than the 939. It’s actually lost a little peak torque, sacrificing it for a flatter and earlier-starting torque curve. It’s so punchy that the top-end rarely needs exploiting thanks to the pandemonium that’s unleashed beneath. You also have to praise the electronic lords for anti-wheelie, as – ridden aggressively – you’d be looping it or resting in a jail cell by teatime otherwise. The internet is awash with claims of electrical gremlins apparently haunting the previous incarnation – but Ducati engineers told me the new ECU has solved these calibration issues. 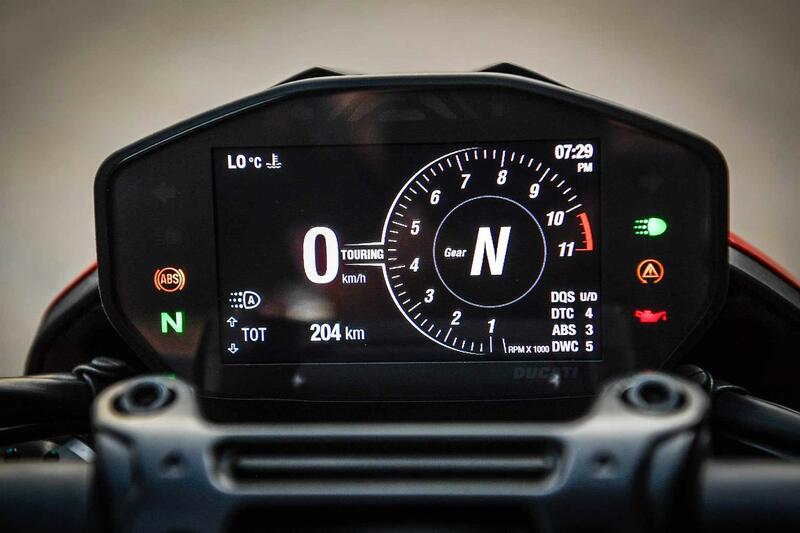 You’re instantly greeted with a new Panigale V4-inspired TFT dash that certainly adds some glamour to the 950’s cockpit. 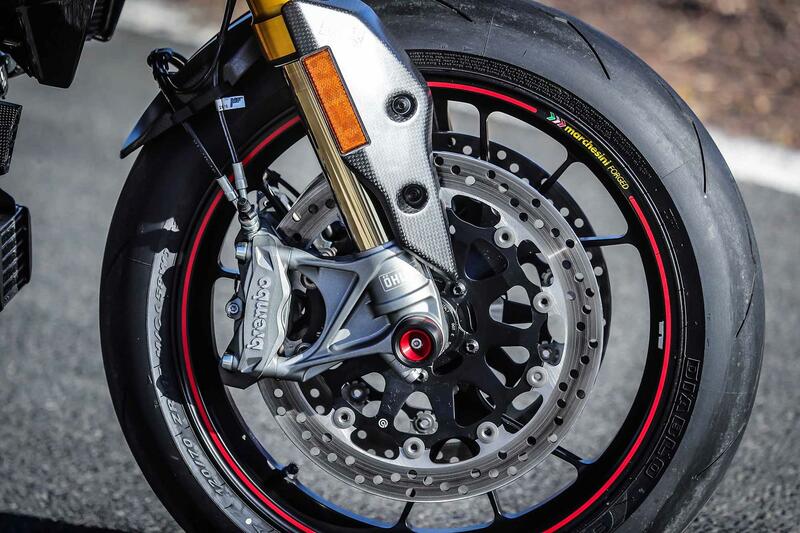 And, as well as de rigueur Ducati Traction Control, Wheelie Control and Bosch Cornering ABS, the 950 now features the same Slide by Brake technology previously reserved for the Panigale V4. The system essentially allows the use of an overeager rear brake by permitting 10° of slide before electronic intervention – via the Bosch IMU – brings the slide back under control. Sounds great for motard madness, right? Maybe, but more experienced riders will prefer the conventional method of backing it in using engine braking, as the tech often intrudes and disrupts your fluidity. Also worth noting is that the ABS cannot be disabled in any mode. All is controlled via the switchgear and full-colour 4.3in TFT dash, through which you can also select from three rider modes. 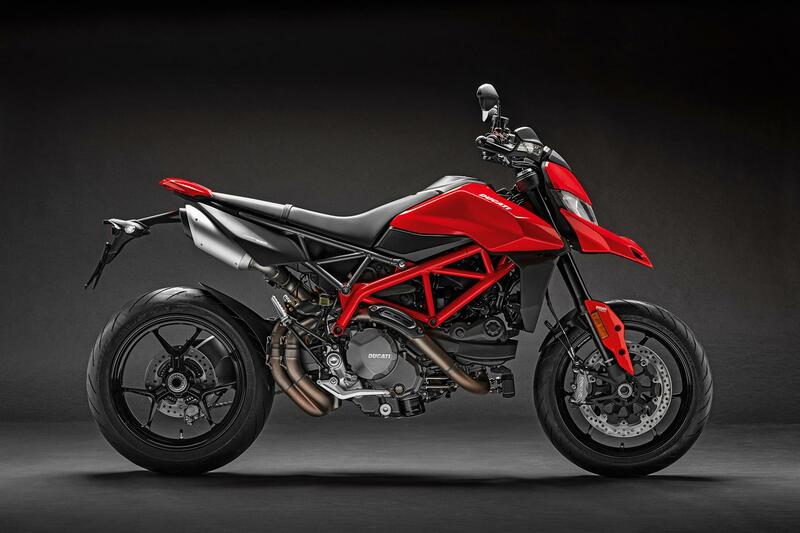 When Ducati launched the Hypermotard 1100 in 2007 it was a radical change from the norm. Producing 90bhp from its 1078cc twin-cylinder engine, the bike combined all the fun of a conventional supermoto with a degree of practicality thanks to a comfy seat and roomy position. With two booming Coke can sized pipes exiting under the pillion seat, a neat single-sided swingarm and jagged, aggressive styling, the bike was a purposeful, engaging wheelie monster that bucked the Ducati trend for the better. 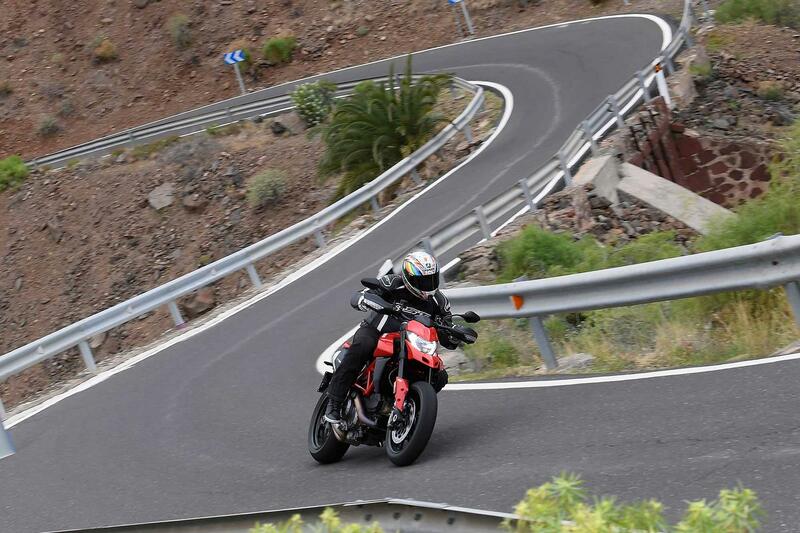 We also spent a morning at Maspalomas Circuit aboard the SP version. 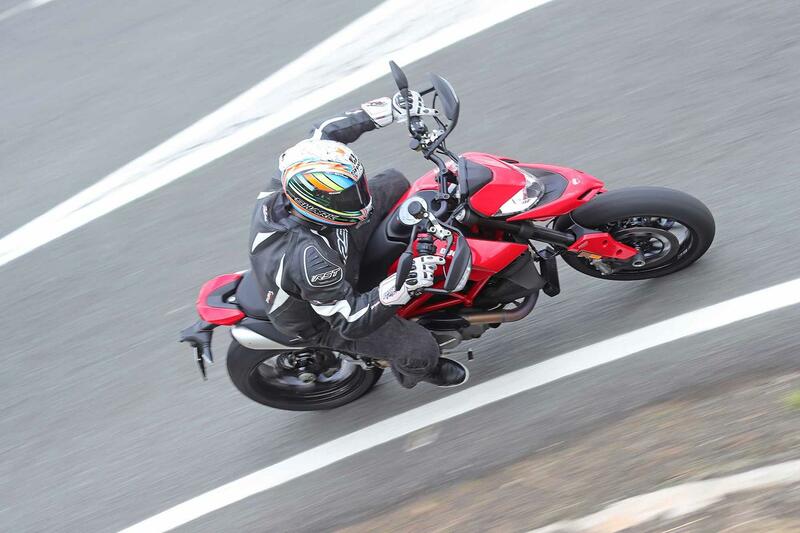 Complete with forged Marchesini wheels, Öhlins suspension, quickshifter/autoblipper, and lashings of carbon, our bikes were also treated us to a full Termignoni system, which sheds weight, adds around 5bhp and drastically enhances the already booming Testastretta soundtrack. For 2019 - as well as all the updates featured on the base model – the SP gets additional suspension travel (15mm at the front, 25mm at the rear) which increases weight transfer and, ultimately, improves feeling through an otherwise stiff trellis chassis. At £14,295, it ain’t cheap. One of the most frequently asked questions has always been, ‘is the SP worth the extra dollar?’ Well, when you consider the additional kit and capability on offer, it’s an unequivocal yes. 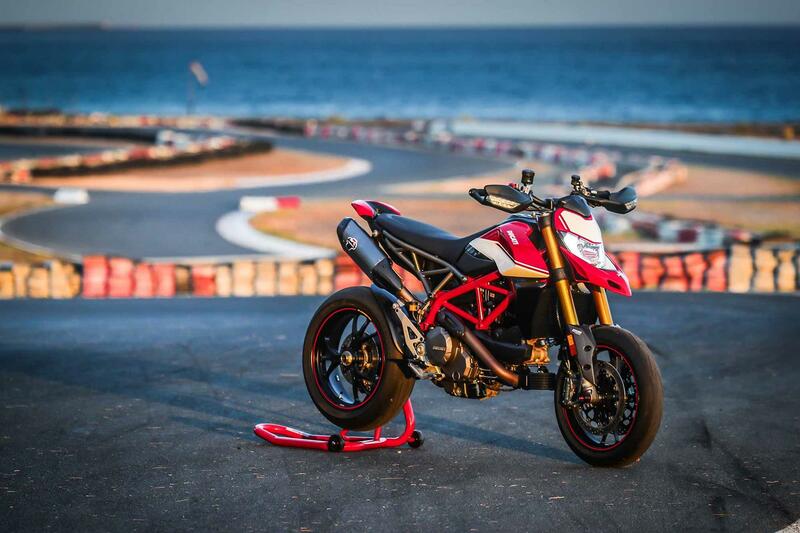 No owners have yet reviewed the DUCATI HYPERMOTARD 950 (2019-on).